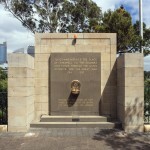 A rectangular sandstone monument, 3 metres high, 4.5 metres wide and 1.5 metres deep with two granite steps at the front and two forward projecting sandstone walls. 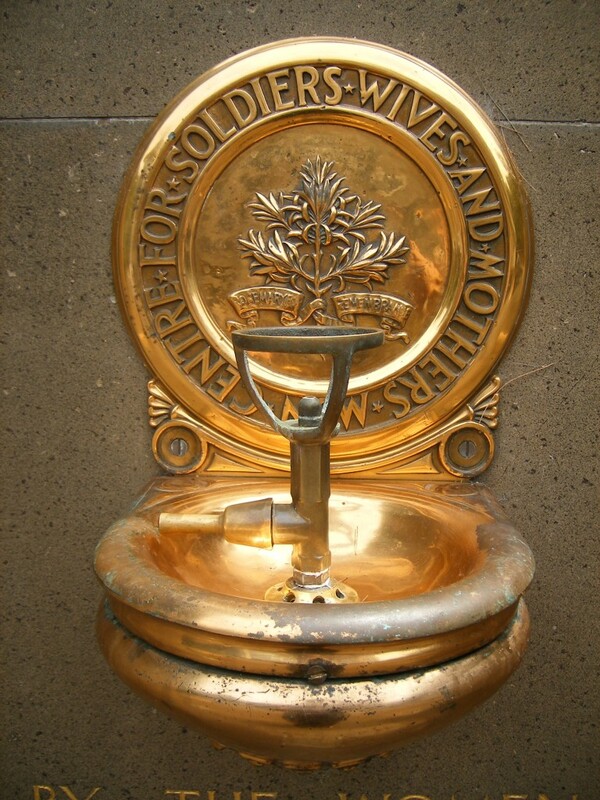 The inscriptions are engraved on a central thin granite slab, which features a water bubbler and brass plaque. 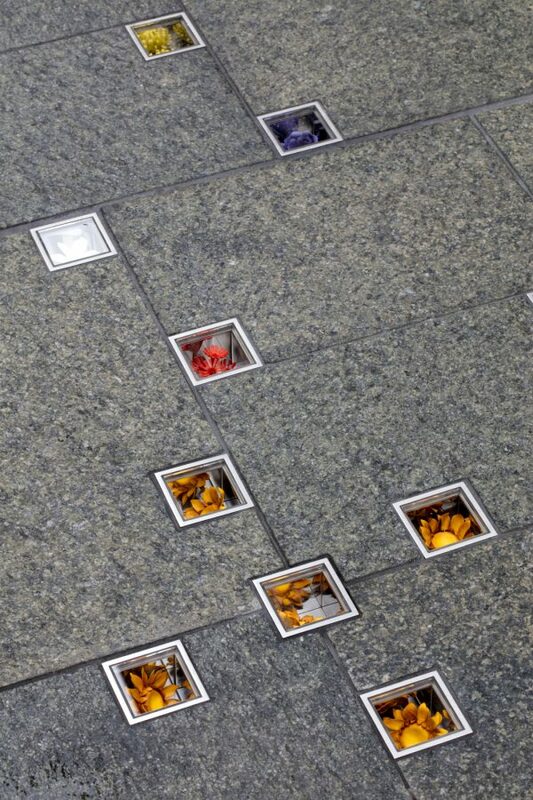 Above the plaque is a torch made of brass and glass. 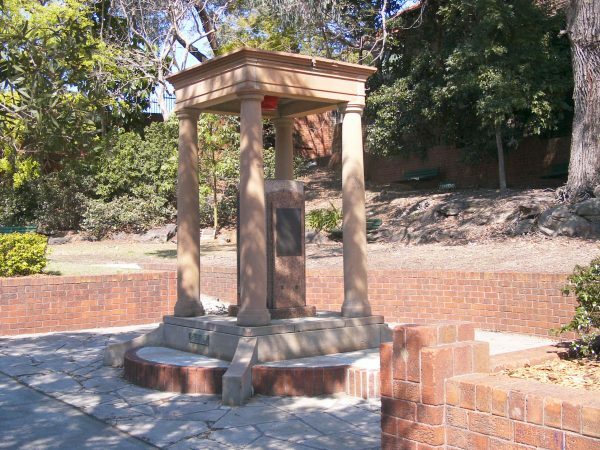 It was installed in 1921. 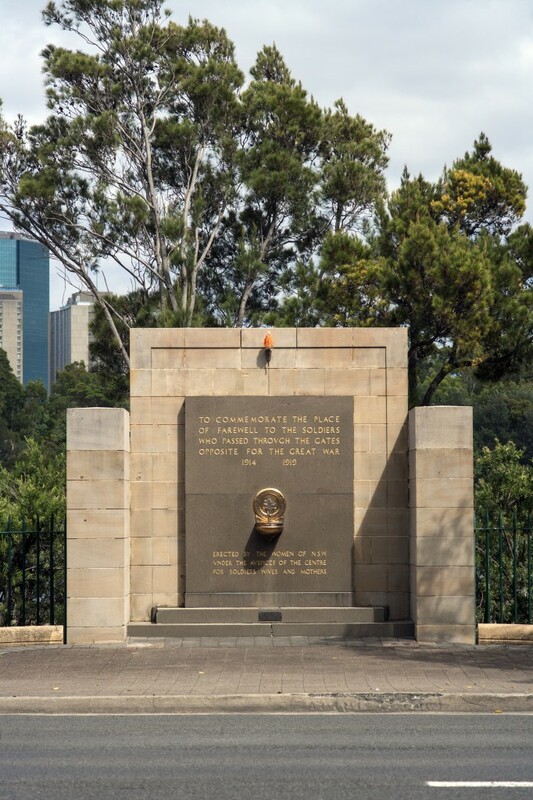 The memorial was erected by ‘the women of New South Wales’ under the auspices of the Centre for Soldiers’ Wives and Mothers. 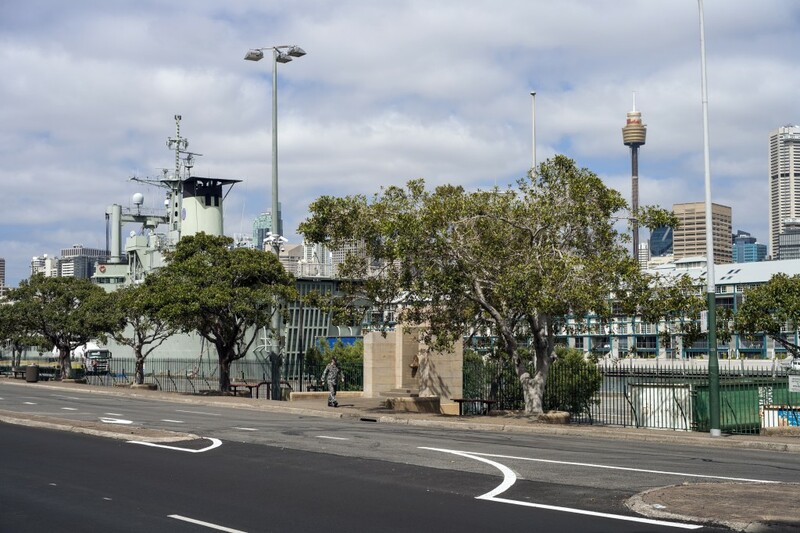 It is located on the western side of Cowper Wharf Road (north), opposite the gates through which the soldiers passed on their way to the ships and to war. 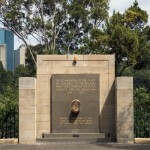 The Centre for Soldiers’ Wives and Mothers commissioned the memorial in 1921. 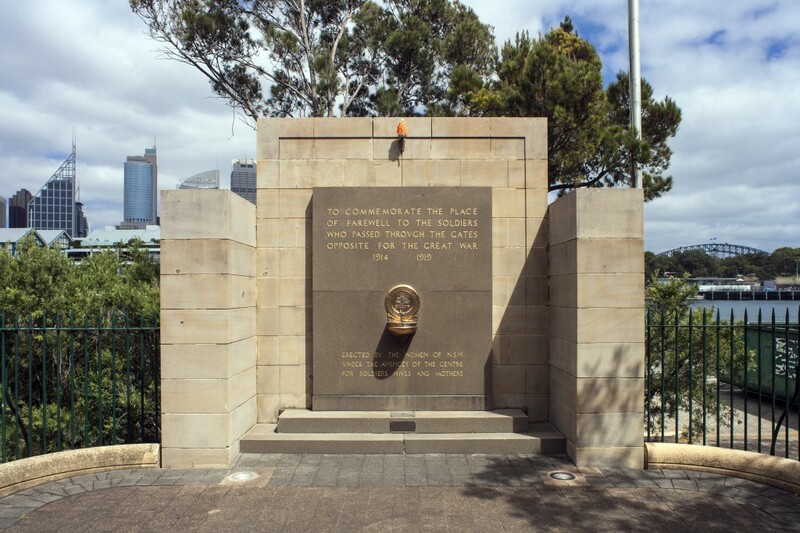 In 1934, the City of Sydney assumed control. 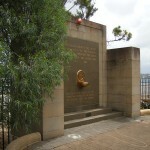 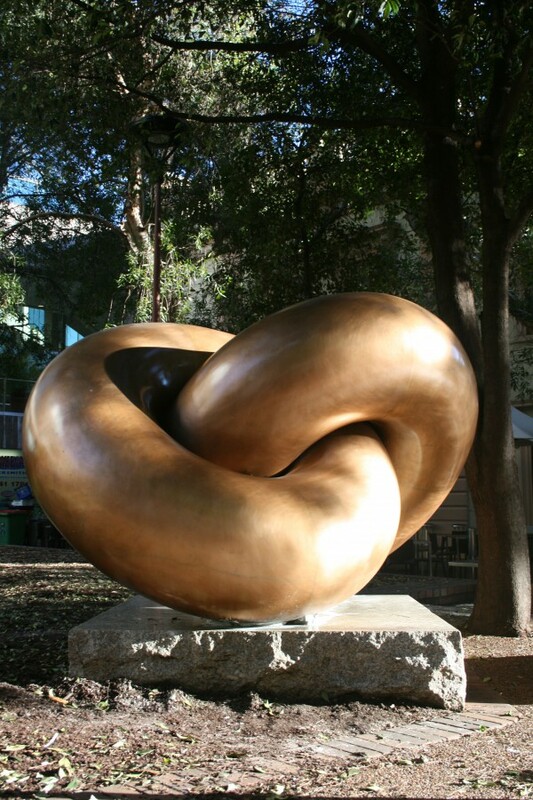 During the construction of the Sydney Fleet Base at Woolloomooloo Bay in 1988 the memorial was relocated 30 metres east of its original position. 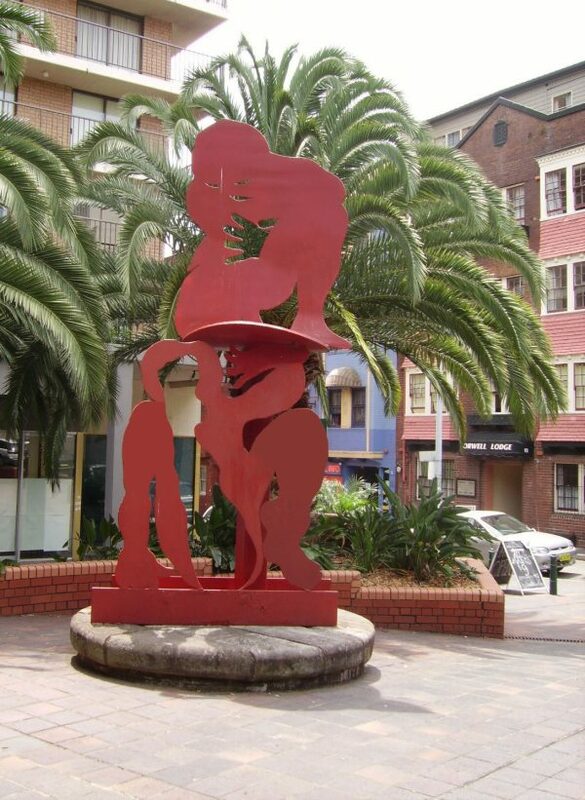 At the bottom, it reads: Erected by the Women of N.S.W. 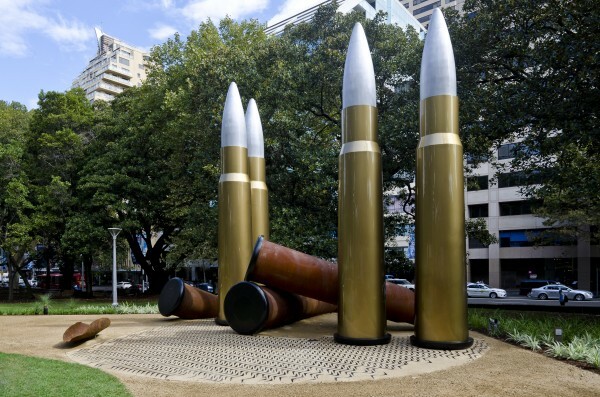 / under the auspices of the Centre / for Soldiers Wives and Mothers. 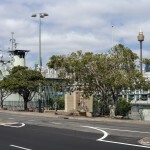 On a small plaque at the base, it reads: This memorial was resited / from a position 30 metres east / during the construction of the / Sydney Fleet Base in 1988. 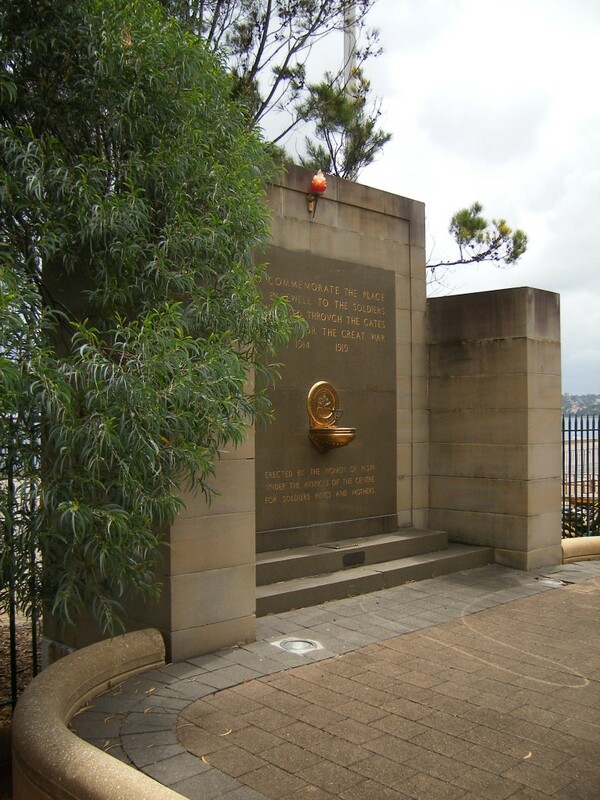 Erected by the Women of N.S.W. 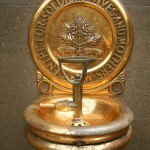 for Soldiers Wives and Mothers.